for me that means it's got to be all about the sparkles & luxe fabrics! 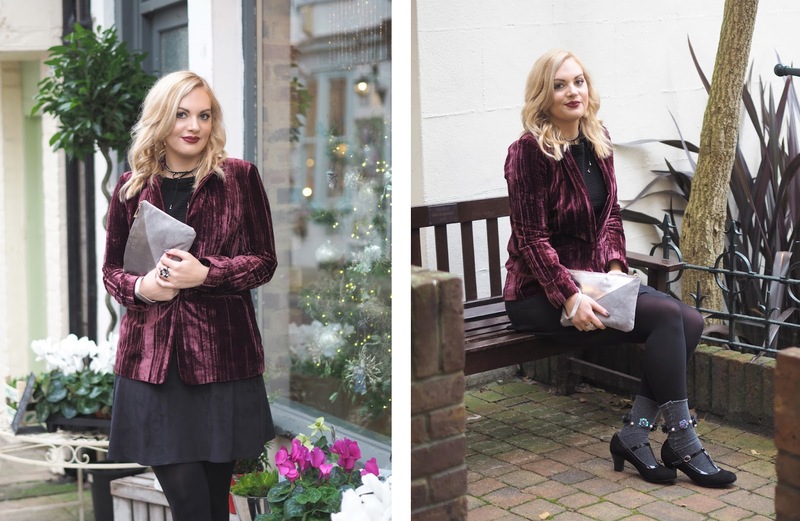 I had fun creating two completely different party looks for you that would be perfect for any special occasion this season, from Christmas Gatherings, New Years Eve celebrations or perhaps even a Winter Wedding? This outfit would work well for a winter wedding or New Year's Eve party as it is simple yet sophisticated. This dress from Oasis is a rich jewel-toned purple with a lace overlay and fluted sleeves. 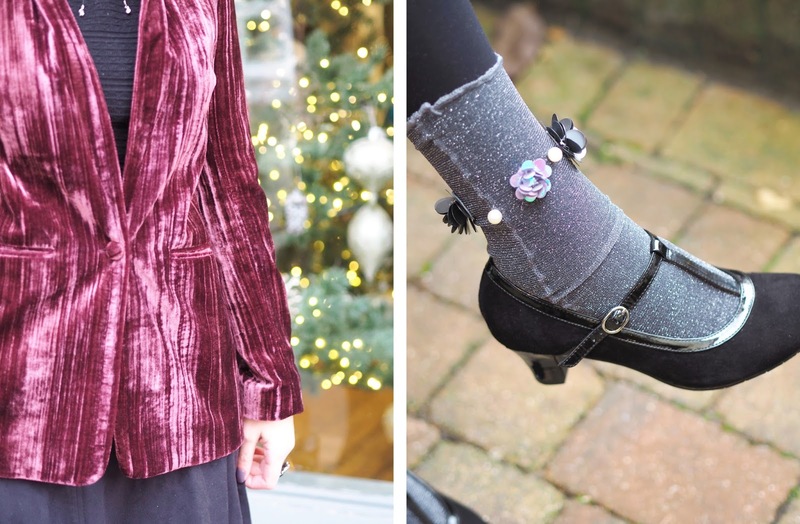 I paired it with my new favourite ribboned shoe boots from Moshulu which have real vintage vibes plus a timeless black skater coat which I think every girl needs to have in her wardrobe. Oasis have an amazing up to 50% off sale going on at the moment (including all of the pieces I'm wearing!) so make sure you check it out to take full advantage of the discounts. You can also sign up to get unlimited free next day delivery for just £9.99 for a whole year which is so useful if you're in a pinch or order as often as I do! Outfit Details: Purple Lace Dress c/o Oasis | Black Skater Coat c/o Oasis | Embellished Bag | Shoe Boots c/o Moshulu (now on sale!) | Rings | Tassel Earrings. 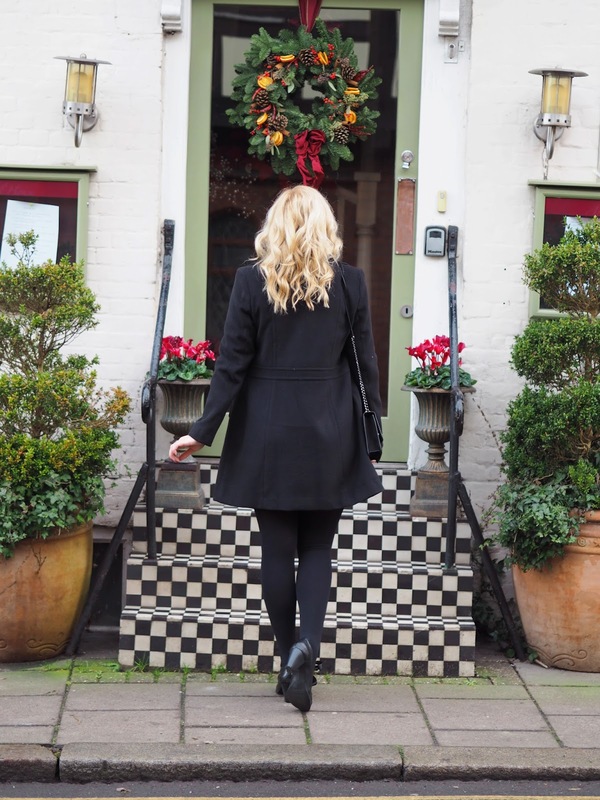 Outfit number two is all about layering up textures! 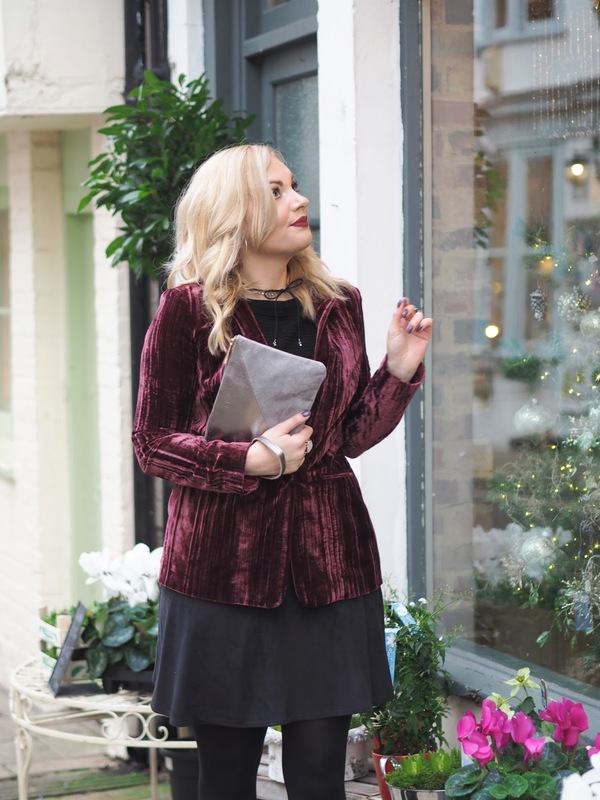 The main feature is this gorgeous Velvet jacket from Oasis. 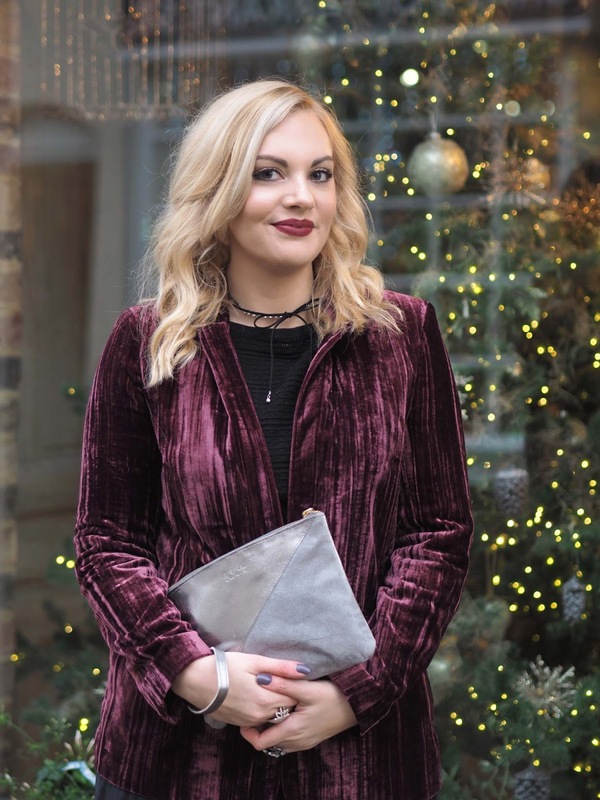 I love Velvet it's so wintery and just screams luxury to me especially in this rich burgundy tone. 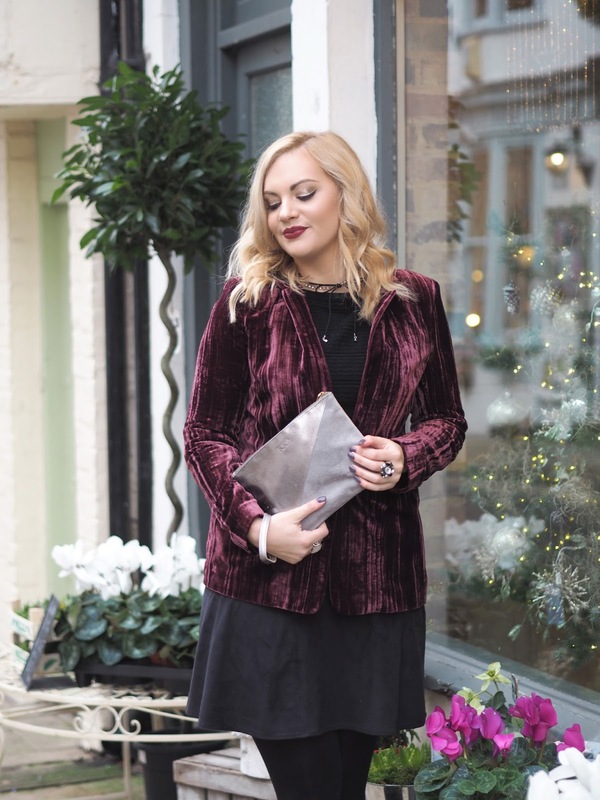 I paired it with my charcoal grey suede skirt which as been a staple in my wardrobe for a while now as it's so versatile. Oasis kindly sent me this silver monogrammed clutch bag with my initials KK and a little star, how gorgeous is it and perfect for party season?! Their running their monogramming service on specific bags allowing you to create beautiful personalised gifts for you loved ones that they can keep forever. You can do this online or I think some of the Oasis stores in London do it too. This double layer suede choker is the perfect accessory to add to this kind of look. 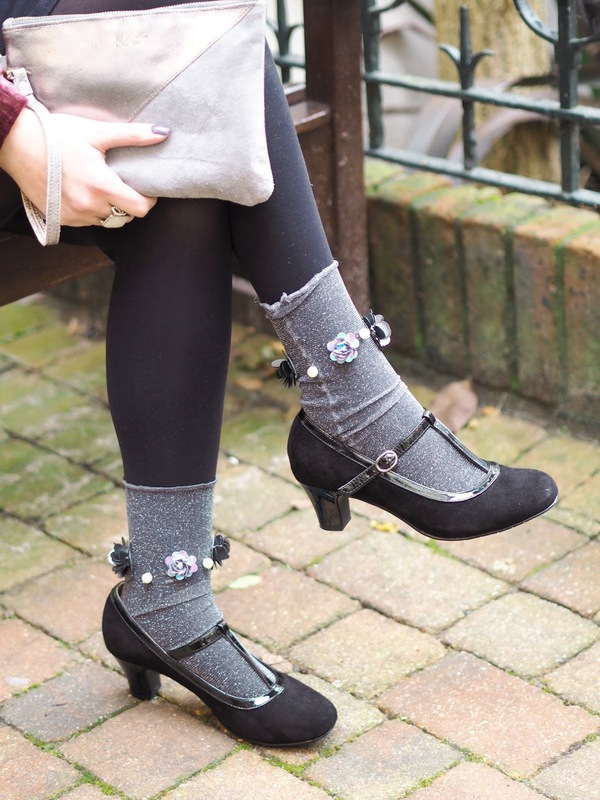 These socks from Pamela Mann are beautifully handmade! I love the intricate sequin detail around the tops. I thought they would look cute and girlie worn with heels but also quite cool and edgy worn with ankle boots! I decided to wear them with my strappy black heals for a more glam and kind of kitsch look. Yes, I had to wear them over my tights because it's freaking freezing out there and as dedicated as I am to my outfit blogs I'm not up for catching my death! I think it actually looks pretty cute layered up but let me know your thoughts. I am hosting a Giveaway where you could WIN a pair of these very socks! All you have to do is scroll down and fill in the entry form to be in with a chance - closes December 31st 2017. 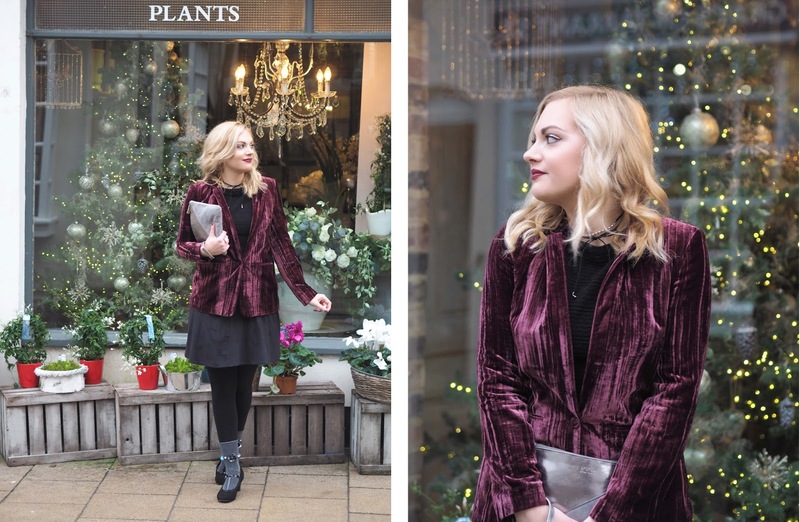 Outfit Details: Velvet Blazer c/o Oasis (now on sale!) | Suede Skirt | Textured Jumper | Monogrammed Clutch Bag c/o Oasis | Socks c/o Pamela Mann | Heels (similar) | Choker | Rings | Earrings. What will you be wearing this party season? 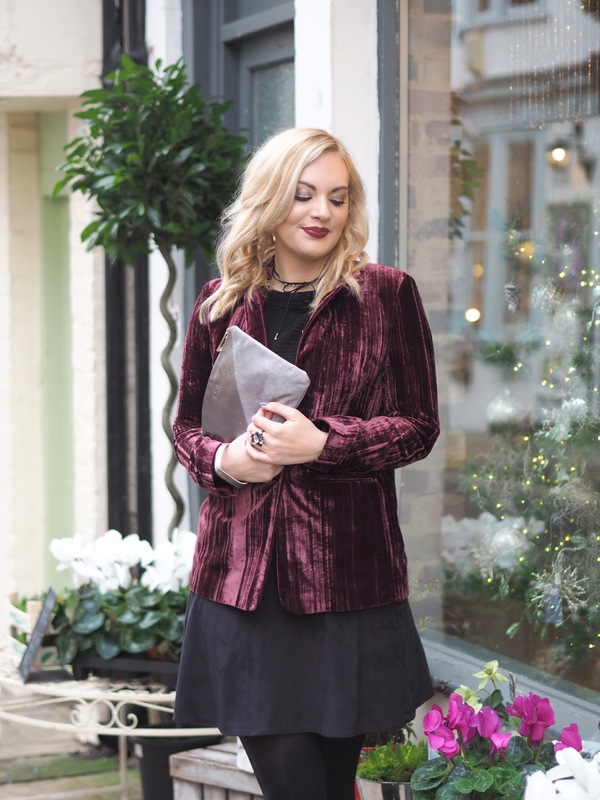 Let me know which is your favourite piece from two looks and if it has given you some gifting inspo!